The funeral service for Gunther J. Petersen will be at 11 am on Sat., Feb. 23, at Trinity Lutheran Church – Lincoln in rural Lake City with Pastor Dan Reich officiating. Burial will be in the Millville Cemetery on Mon., Feb. 25 at 1 pm with military rites. 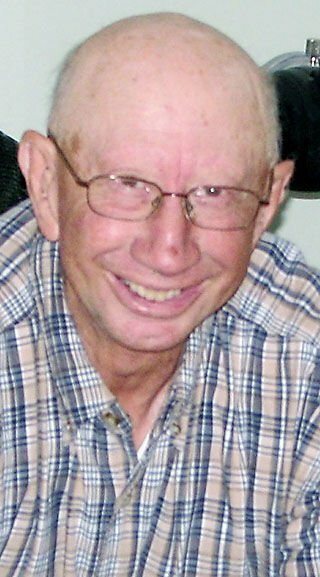 Gunther John Petersen, 80, of Eau Claire, WI and formerly of Zumbro Falls, MN, passed away Jan. 31, 2019 at Azura Memory Care in Eau Claire, WI. He was born Gunther J. Eggers on March 23, 1938 in Garnavillo, IA to William C. and Anna Margareta (Wieben) Eggers. He was baptized on April 17, 1938 at St. Paul’s Evangelical Lutheran Church. After his father’s death, Greta married Nick Petersen, who adopted Gunther. In 1949, the family moved to Millville, MN. He was confirmed on April 6, 1952. He graduated from the Elgin High School on May 13, 1956. Gunther served his country in the U.S. Army at Ft Huachuca, AZ from 1959 to 1962. On Dec. 30, 1961, he married Arlys A. Busitzky at Trinity Lutheran Church in Rochester, MN. They were blessed with 57 years of marriage. He worked as a farmhand at Mayowood and St. Mary’s. In 1966, he started his 28-year career working for IBM Rochester of which 6 years were in Boca Raton, FL. In 1976, they moved to Zumbro Falls, where they lived for 35 years. In retirement, he worked for Pioneer Seed and the ZF Golf Course. Gunther was a lifetime member of the Millville American Legion Post #579, where he was as a past commander. He was a former member of the local snowmobiling club. Gunther and Arlys enjoyed camping and travelling the U.S. They belonged to the local chapters of the Heartland Good Sam club and the Coachman’s group. Gunther enjoyed bowling, snowmobiling, driving his lawn mowers, and tubing the Zumbro River. He enjoyed walks with his dog, Lady! He loved to laugh. He’d go out of his way to help others. Gunther suffered from Alzheimer’s for 10 years. This caused them to sell their home in 2011 and move to Eau Claire, WI. He was a member of St. Mark’s Lutheran Church in Eau Claire, and a former member of Trinity Lutheran Church – Lincoln. Gunther is survived by his daughter, Terri (William) Dempski of Apalachin, NY, and son, Gordon (Linda) Petersen of Bloomer, WI; 4 grandchildren, Mark and David Dempski, and Aaron and Zachary Petersen; and a sister Helen (Leonard) VanHouten of Millville. He was preceded in death by his parents, his step-parents, his wife Arlys Petersen, and his brother Henry Petersen. Friends and family may visit from 4:00 to 7:00 p.m. on Friday, February 22, at Schleicher Funeral Homes, Plainview Chapel, and one hour prior to the service at the church. Memorials are preferred to go to the Alzheimer’s Association. Let’s help find a cure. Arrangements entrusted to Schleicher Funeral Homes, Plainview Chapel, the guest register may be signed at www.schleicherfuneralhomes.com.